Mrs. Anna (Bushey) Hurlbut, age 89 passed away Saturday evening, February 2, 2019 at the Franklin County Rehab Center. She was born in Georgia, VT, July 23, 1929, daughter of the late Walter and Adwilda (Bedard) Bushey. June 20, 1953, Anna married Mr. Donald Hurlbut. Mr. Hurlbut passed away January 3, 1988. Anna worked for many years as the medical office secretary for Dr. Henry Tulip. In 1970 she was the medical secretary for Dr. Martin Kopelwitz for 8 years, and then worked in the medical records department at Kerbs Hospital for 10 years. 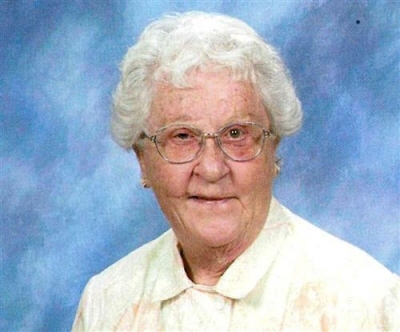 She was a member of the Franklin County Business and Professional Women’s, St. Mary’s Church and the St. Mary’s Bereavement Committee. Anna is survived by many nieces and nephews. She was predeceased by her parents, husband Donald, and her brothers Roland, Leonel, and Omry Bushey. A Mass of Christian Burial will be celebrated Thursday, February 7, 2019 at 10:00 AM in St. Mary’s Church. Interment will be in the spring in Mount Calvary Cemetery. Memorials in Anna’s memory may be made to Northwestern Medical Center, 133 Fairfield Street, St. Albans, VT 05478. Arrangements are entrusted to the Brady & Levesque Funeral Home, where online condolences and memories may be shared with her family at: www.bradyandlevesque.com. To plant a tree in memory of Anna Bushey Hurlbut, please visit our Tribute Store. "Email Address" would like to share the life celebration of Anna Bushey Hurlbut. Click on the "link" to go to share a favorite memory or leave a condolence message for the family.